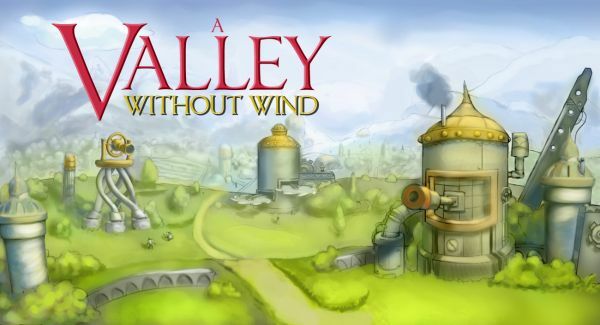 Up first is A Valley Without Wind, a tower defense title with a few unique twists. Besides supporting two player co-op play like Pixel Junk Monsters, AVWW will have a unique paint style, dynamic camera for co-op, and a unique setting in a futuristic Ice Age. There's even unique bits of story that unfold in a JRPG like fashion. Next up is an untitled puzzle game which was formerly called Feedback. There's very little info about this game or it's mechanic, other than it's incredibly simple to pick up and already addictive in testing. It promises to break the traditional block based puzzle dynamic for something completely unique, though Arcen isn't saying what. Of course the game will have a two player co-op mode as well. More info, including a public beta, is expected in February or March of this year. Lets just hope they have a name by then! Finally if you haven't had enough AI War yet, there's more free DLC planned for next year. We'll be keeping an eye on all three titles.